It's beginning to look a lot like Christmas!! 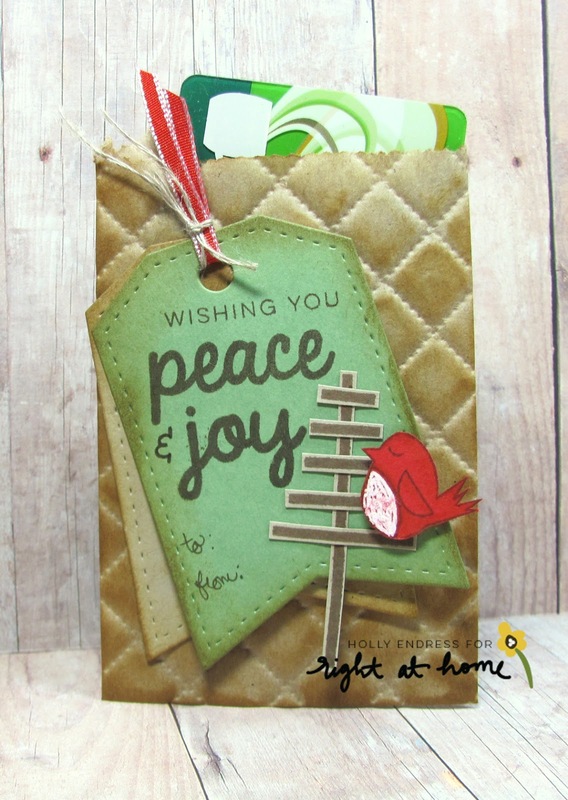 I'm paring up with my friend Nicole from Right at Home this week for a 3 day series called Right at Home for the Hollydays and we'll be sharing cute gift wrap ideas for all your Holiday treats! 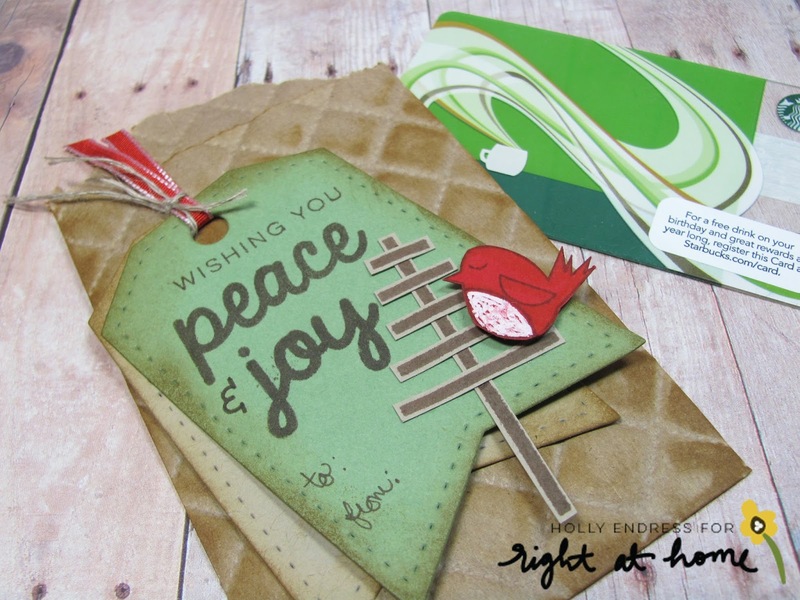 Today I have a fun little envelope you can use for all those Gift Cards.. I use a lot of gift cards throughout the year and I always prefer to create my own envelope. I have this cute little itty bitty envelopes from YNS and I embossed it with a 3D quilted folder and then I added some Distress ink. I die cut two Fishtail tags from YNS as well one from Green and one from some Kraft card stock and I added a bit of that same Distress Ink. 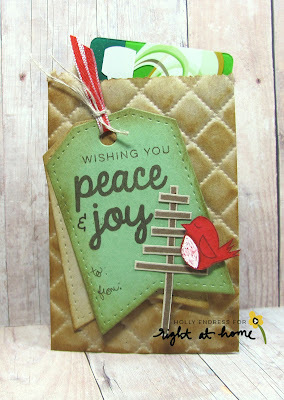 I stamped the Tree and Bird image from the Right at Home Christmas Critters set using some Walnut ink from Lawn Fawn. I trimmed the images out and glued them to the green tag. I added a bit of shading to the bird with a copic marker and some White gel pen on the belly. I stamped the sentiment from the Holiday Sentiments set using the same walnut ink and I added a few details with a brown multi liner. I threaded some Red ribbon and Twine through the top and adhered the tags to the bag. Just slide your gift card in and go! And you can change this up for any occasion throughout the year.. How cute would these look with Nicole's Fall leaves set and Names on them for a Thanksgiving Place card? Head over and see what Nicole created and be sure to join us back here tomorrow for Day 2!! This is so adorable; the envelope looks so cushy I could sleep on it! Love it! Thanks Valerie.. I love that embossing folder I need to use it more!